Is there life on Mars? The debate continues. 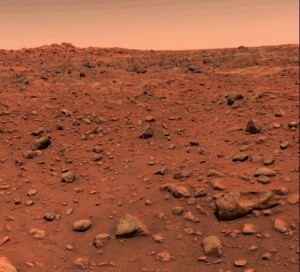 In 1976, NASA launched three experiments to investigate the possibility of life on Mars as part of the Viking Mission. An exhibit on C-Level in the Eisenhower Library, Detecting Life on the Red Planet, tells the story of the experiment that was developed by Whiting School alumnus and Trustee Emeritus Gilbert V. Levin (BA’47, MA’48, PhD’63) and his co-investigator, Patricia Ann Straat (PhD'63. This permanent exhibit, curated by Emily Carambelas (A&S ’11), features instruments and soil samples donated to Johns Hopkins by Levin. Originally called “Gulliver,” after Jonathan Swift’s character, the experiment was renamed the “Labeled Release (LR)” experiment by NASA in reference to its methodology – using radiorespirometry to detect the carbon dioxide released by microorganisms as a result of their metabolic activity. The LR experiment tested the soil of Mars nine times at two different landing sites under different temperature regimes and environmental conditions. Levin, a sanitary engineer, developed a method known as radiorespirometry to rapidly detect bacteria in water suspected of being contaminated. The method is fairly simple: a sample of the water is placed in a test tube, to which is added a nutrient broth designed to culture bacteria. Any bacteria present will metabolize the nutrients, releasing gas. Gas bubbles then rise to the top of the test tube, signifying the presence of bacteria in the water. By adding radioactive carbon-14 to the nutrient broth, Levin took the method a step further, as the carbon-14 is metabolized and expelled just like the nutrients, but the resulting gases are radioactive and thus discernable by radiation detectors. This method provides measurable results and is not limited to water but can also be performed on soils (on this planet and elsewhere). 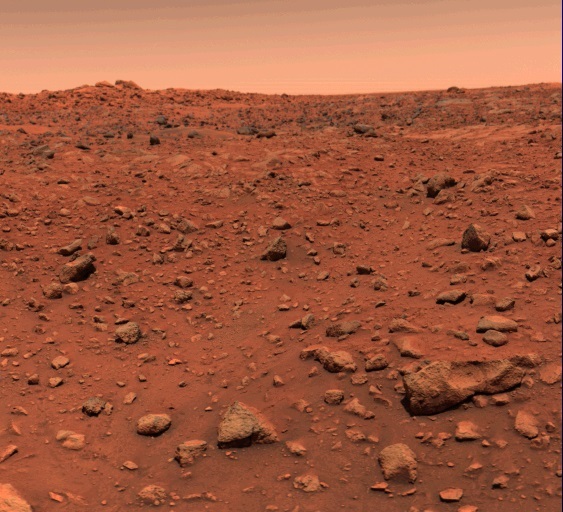 Dr. Levin has long believed that the results from the LR experiment indicate that there are living microorganisms on Mars, and he published a paper in 1997 drawing on more recent research as well as evidence from Viking. There is not yet consensus on his claim, but his extensive research has re-charted the debate on extraterrestrial life. The exhibit provides a glimpse of some of the physical objects that have contributed to our evolving understanding of this nearby and intriguing planet. YOU Can Help Us Document Student Life!